Brazilian Dish - Discover Rio and Learn Portuguese at RioLIVE! 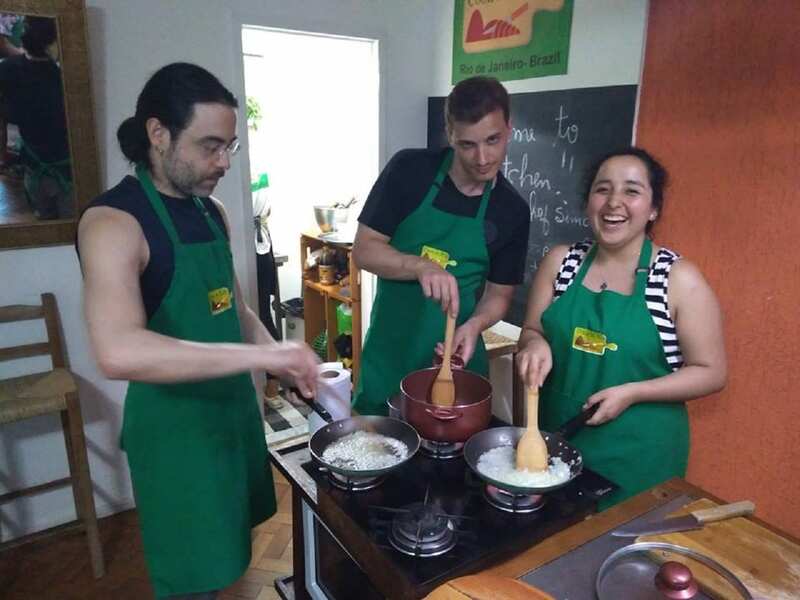 Aprender a cocinar un platillo típico de un país es una forma de acercarte al corazón de la cultura que la crea. Hoy aprendimos a cocinar Moqueca com peixe e hicimos unas riquísimas caipirinhas con la chef Simone. Sin duda no solo fue interesante el proceso mismo, sino que en el camino aprendimos palabras nuevas brasileiras, aspectos de las familias y mezclas culturales del Brasil. Cuando vuelva a casa, lo repetiré para mis amigos. Ojalá, me salga tan rico como hoy. 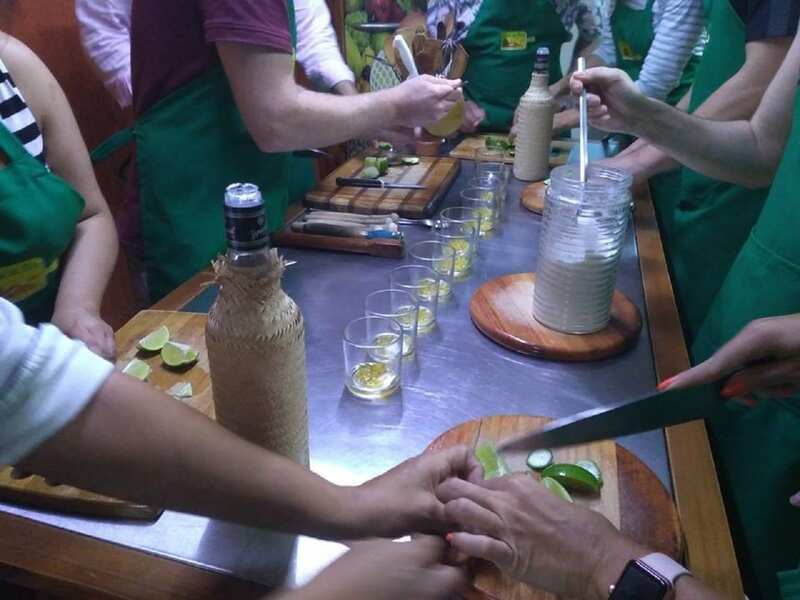 We also learned how to prepare good Caipirinhas! One of the best things is eating. But better than that is cooking your own food and cooking for others. Brazilians love cooking and love good food, so one of the most effective ways of exploring the culture at its best is to dig deep in our cuisine by making a delicious Brazilian dish. This RioLIVE! 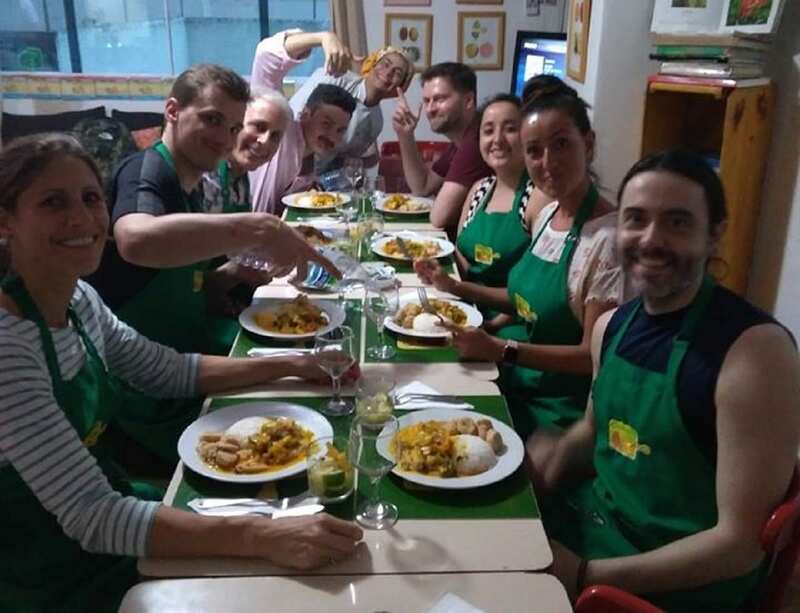 showed our students – with the help of Chef Simone – the best of Brazilian food, having them prepare their own Moqueca Baiana with a lot of spice, laughs and love. No doubt Brazilian cuisine is one of the best! Check our Facebook page for more pictures of the making of this Brazilian dish! Ready to eat Moqueca Baiana: a beautiful Brazilian dish.